Graduated round diamonds along the white gold engagement ring shank; bead set diamonds on the four prongs and around the base - are a total weight of 0.50 carats. 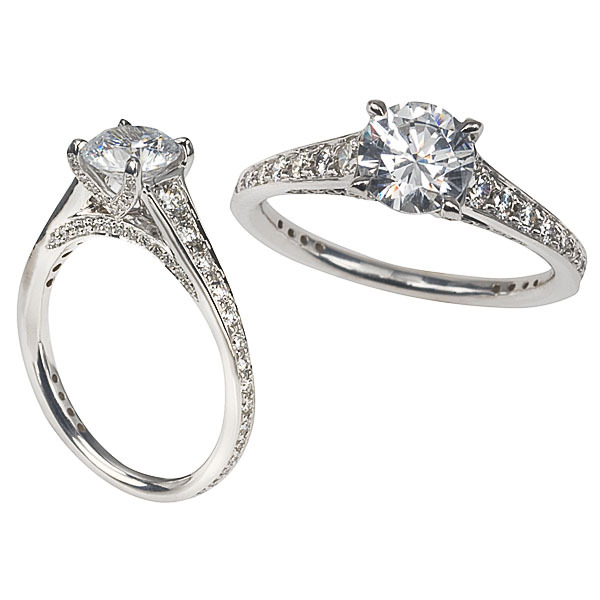 This engagement ring is elegance personified! (Center Diamond is Sold Separately).